Father Gianpaolo Pagano is a Dominican priest based at the sanctuary of the Madonna dell’Arco in Sant’Anastasia near Naples. The tradition of dedicating ex votos at this site dates back to at least the fifteenth century, and it continues today. The shrine walls are covered in painted votive tavolette, and there is a museum of ex votos that was inaugurated in the Jubilee year 2000. 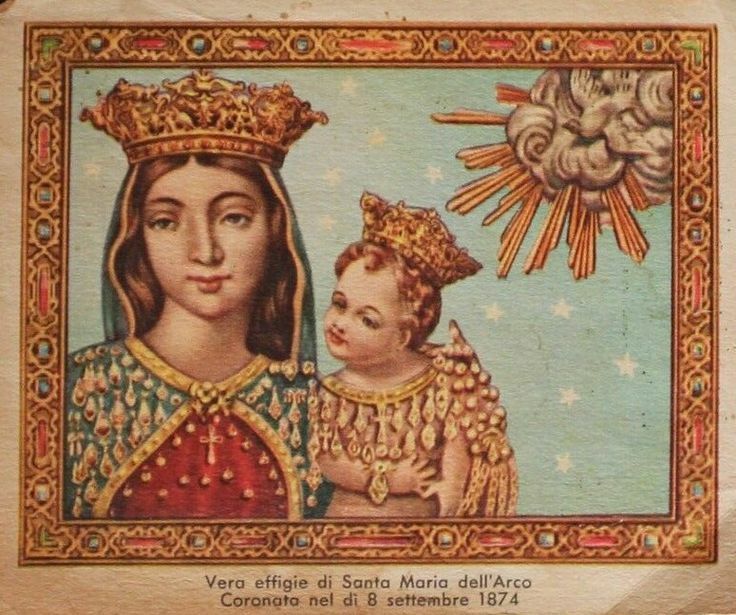 The ancient image of the Madonna dell’Arco holding the infant Christ is located on a stone wall at the centre of the church building, where it is encased in an elaborate frame and decorated with crowns of gold. This interview with Father Gianpaolo was recorded by Jessica Hughes in the Old Pharmacy of the Madonna dell’Arco on 7th April 2017. JH. Father Gianpaolo, thank you very much for this interview for The Votives Project. Before we start talking about the votives at the Madonna dell’Arco sanctuary, I hoped that you might tell us a bit about the sanctuary, and the nature of your work here. Are you originally from this area? PGP. I’m from Salerno, which is about fifty kilometres from here. JH. And how did you come to work at the sanctuary of the Madonna dell’Arco? PGP. Well, in the Dominican Order there’s the role of the Prior Provincial, who governs the province. Then, there’s the role of the ‘Director of Studies’ (Regente degli Studi), who looks after the education of students and the intellectual life of the province. And that is my role in the region of Southern Italy. The Prior Provincial is based at the sanctuary of the Madonna dell’Arco, so that’s why I’m here too. I’m the person in charge of the intellectual life and theological, philosophical education of the community. We have a Centre for the Study of Popular Religiosity, as well as a library and periodicals for the sanctuary and the province. JH. When you were growing up in Salerno, did you already know about this sanctuary? PGP. No, in the Salernitan province where I’m from the Madonna dell’Arco isn’t very well-known. It’s a phenomenon primarily of the province of Naples, so I didn’t know it so well. JH. Could you tell us a bit more about the Madonna dell’Arco and the people who are devoted to her? PGP. This particular Marian devotion has developed in an area that is socially and economically quite deprived. The effigy of the Madonna shows her in simple, countryside clothing. This fresco probably dates to around the thirteenth century. And in the mind of the artist who painted her, there was the intention to represent a Madonna, the Mother of Jesus, in a human guise: very poor, simple, in very simple clothes, with a face that’s almost ugly. Actually it’s not a physical ugliness, but in the face and features of the Madonna we see a woman who suffers, a woman who struggles, but who is also full of tenderness and sweetness. Perhaps the artist wanted to communicate her nearness, the compassion of the Mother of Jesus with his children, in particular the poor ones, the ones who suffer, to whom she is close. The first devotees were poor people, who used curses despite being believers. The first miracle, where blood ran from the Madonna’s face – that happened during some boys’ games, in which one of them cursed the Madonna, so that the ball was hurled against the Madonna’s face. And this has continued over the years. The background of most of the pilgrims (and above all those who visit the Lunedi in Albis festival) is still working-class. JH. The devotees love the Madonna very deeply, don’t they? They have a very powerful bond with her. PGP. It’s because they feel her to be close at hand. They feel that she belongs to their own family. Sometimes, we overhear dialogues between devotees and the Madonna which border on curses. In reality they don’t call her ‘Madonna’, they call her Mamma dell’Arco – precisely because they want to express an intimacy, a closeness. JH. So thinking about the ex votos – this intimacy must shape the act of giving. Is the votive cult less formal than at other places, and does the intimacy with the Madonna influence the kind of votive that is offered? PGP. One of the interesting things about the ex votos in this sanctuary is that they have been there right from the beginning, from the fifteenth century right up until the modern day. And we see the ex votos change form, depending on the historical era. 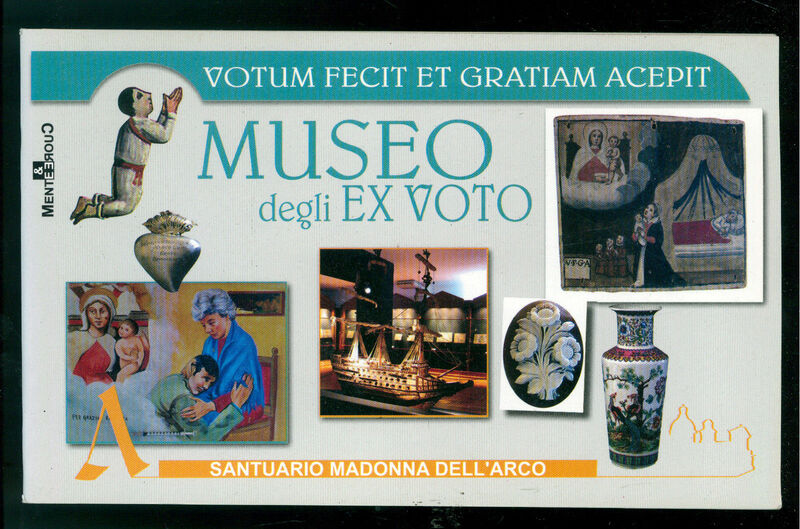 But in general, I don’t think there is very much that is different from the ex votos that you can find in other sanctuaries. Perhaps the most characteristic element in the design is the expressiveness. The capacity for expression is definitely typical of the Neapolitan people. That is, to know how to express – even in a drawing – the sentiment, the emotion that one perceives in praying and in receiving the grace of the Madonna. Sometimes there’s the theological ‘error’ of representing three Madonnas together, occasionally with other saints too. This definitely seems closer to superstition than to faith. But actually even here the thing that the ex voto wants to express is intimacy, even outside of a theological structure. This may be part of the reason why the Vatican invited San Giovanni Leonardi to the shrine at the beginning (he was the founder of the shrine). JH. Was this after the first miracle? PGP. After the miracle, yes. 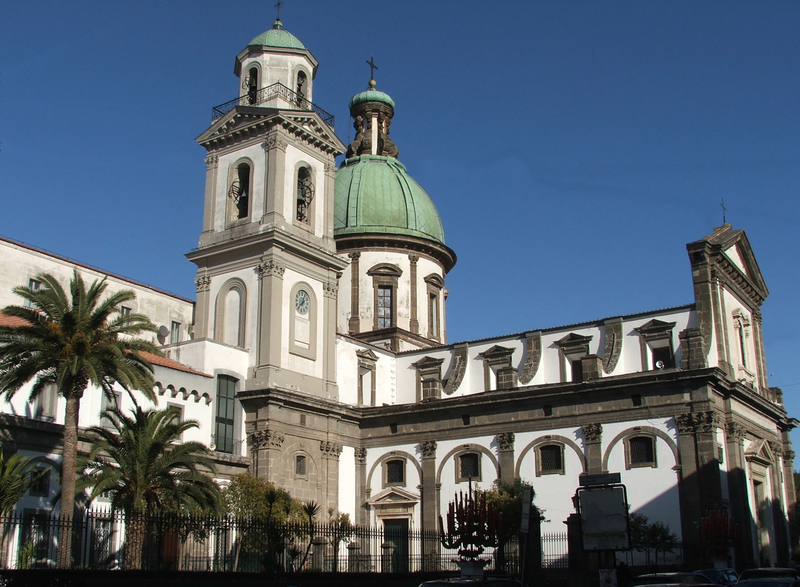 The Holy See may have invited the Dominicans because they were better than other Orders at listening to the local people, and at educating them in the faith, without rigidity (which would have been misunderstood by the people), but also without letting them fall into superstition, and into theological error. JH. Those votive tablets with more than one Madonna are very striking. I saw some of them at Montevergine too, where you get the Madonna of Pompeii next to the Madonna dell’Arco and the Madonna of Montevergine. Sometimes people have actually cut the figures of the Madonnas out of paper prayer-cards, and stuck them onto the votive tablet. But what do you say when people bring things that aren’t necessarily ‘correct’ in the strict theological sense? PGP. Well, in that moment we don’t put too much emphasis on the ‘error’, but we help people to understand the importance of the grace received – to be able to recognise the intervention of God in history, through the intercession of the Madonna. It is important that Christian people understand this: that God isn’t up in heaven, but that He follows and governs our stories, our lives, and that through the Madonna we can understand the will of God and live how He’d wish us to. JH. Last year I spoke with Monsignor Pietro Caggiano in Pompeii, who has written a lot about ex votos, and he said something important: that it’s a mistake to think that God wants something from us, and that he gives something to us in return. That underlined for me how far Catholic votives are distinct from how we understand the ‘Do ut Des’ [I give so that you might give] philosophy of Greco-Roman antiquity. Do you have any comments about the differences between ‘pagan’ and Christian ex votos? PGP. So, through their materiality ex votos want to bear witness to an encounter between the Divine and the human. They fulfil a need to recount and commemorate a supernatural intervention. Clearly in these two directions – God toward humanity, humanity toward God – this could be seen as a regression towards paganism – a ‘Do ut Des’, as you were saying. But it’s in the Incarnation, in Jesus, that there’s an encounter between these two dimensions. For this reason, in Christian spirituality the ex voto becomes a way of recognising that God has become man, and that humanity can move towards God. So this risk of ‘regression’ to paganism in the Christian faith is a risk that always remains, but the ex voto becomes Christian. It has been Christianised in a way that is authentic for Christian people. JH. I read a book recently, the Madonna degli esclusi [by Stefano De Matteis], which talks mainly about the fujenti [devotees of the Madonna dell’Arco] and the festival of Lunedí in Albis from an anthropological perspective. But he includes an epilogue about pagan antiquity in which he tentatively explores some parallels with older religious structures and stories, like the Greek myth of Demeter and the rituals associated with Cybele. PGP. Pagan things have remained in some form as part of Christianity. Just think of all the processions – the Eucharistic procession, the processions for the Saints. These are all transformations, Christianisations, of pagan customs. So why have they remained in the Church? It’s not because the pagan spirit has ‘triumphed’, let’s say, over the Christian faith, but because the Church has had theologians who knew how to read out of these customs an authentic way of demonstrating the faith. So for instance, the Eucharistic procession of the Corpus Domini that still takes place today (at least in Italy) passes through the public spaces of the city. it’s the God who walks amidst his people. It has a value which is authentically Christian. In the ancient rites, sacrifice was the location of encounter between gods and men, as part of a ‘give-to-receive’ dynamic. Clearly this has been superseded by Christianity, by virtue of the Incarnation of God – the son of God in the lap of Mary. In that moment, the encounter happens, so that in Christ, the ancient rite is simultaneously annulled and renewed. And this enabled the votive offering to be ‘re-introduced’ within this new dynamic of interacting with God. JH. May I ask you about the votives given today? Outside just now I met two parishioners who were bringing a presepe [nativity model] into the Offerings Room. What other types of votive do people bring, and what do you (the Sanctuary) do with these objects once they have been offered? PGP. We have a storeroom where we put everything to begin with. We can’t display everything because that would take up too much room. But we try to document the more unusual or special cases in the annual bulletin. 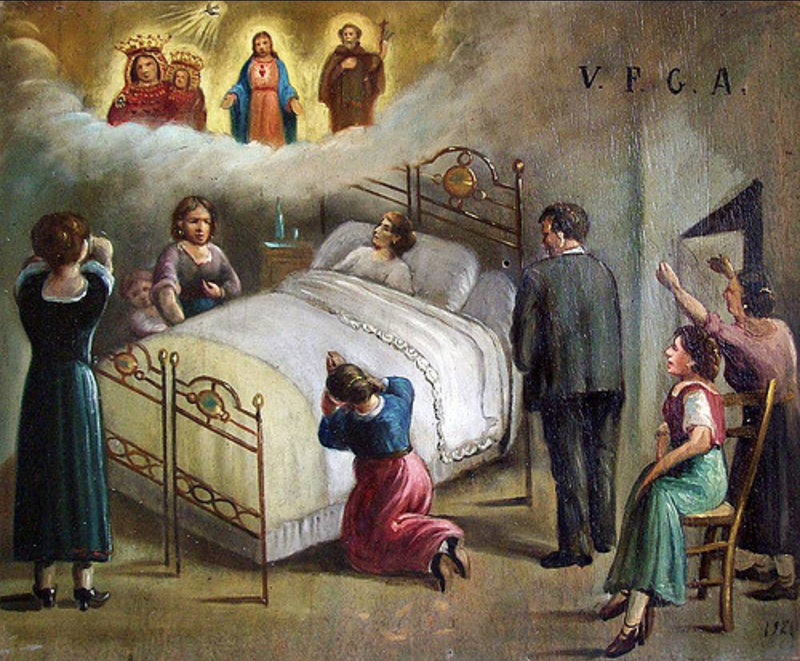 Certainly the most common ex votos are those related to recovery from illness. But we also get brought university dissertations. And people have also sometimes brought objects linked to magic. JH. What do you mean by ‘magic’? JH. Despite the profound differences that you’ve mentioned here, tarot cards and ex votos are both categories of object which help people to combat uncertainty in life (albeit in very different ways). We can feel so helpless and uncertain about the future, and we’re often desperate for some kind of active control over future events, even if this is simply the act of relinquishing control to Mary. PGP. Yes, that’s a possibility. We’ve got lots of things like the tarot cards, and even worse things like charms and spell-bonds [fatture]. But the cards are the most common things. And sometimes we’ve been brought gold syringes as a sign of thanks for recovery from drug addiction. It’s nice that good and evil are both dimensions that then acquire a layer of meaning – of thanksgiving – in which we recognise and acknowledge the intervention of the Madonna. It’s a way of thanking her for the good received, but also for the bad things that we have been distanced from. JH. Father Gianpaolo, thank you very much. ← Anatomical votive reliefs as proof for specialisation at ancient Greek healing sanctuaries?